To add, we use Numicon, number lines and 100 squares. Get a 8 piece and a 4 piece. Put the 4 piece against the 8 and count the number of holes, encouraging children to begin counting at 8 rather than 1. Find the start number (8) and jump forward and down to the next line, counting 4 jumps. Land on 12. 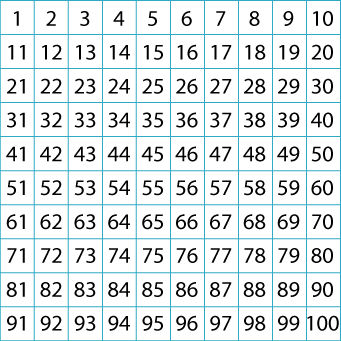 100 squares are also used to add and subtract 10 by going up or down the columns.